The U.S. Department of Defense is conducting a market survey to identify potential technologies that can identify the location of mustard (HD) chemical agent on military vehicles and equipment. 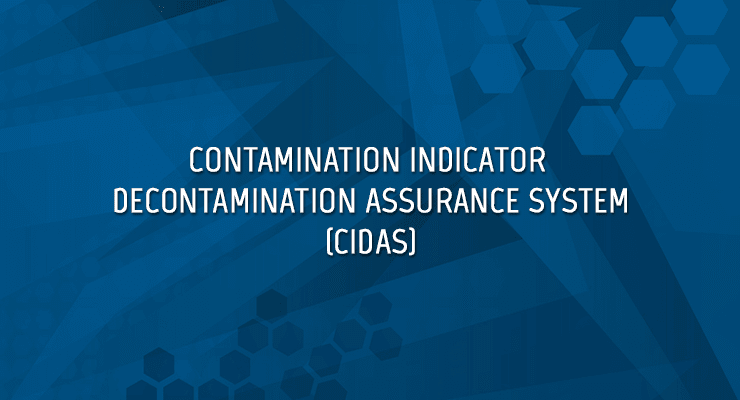 The effort is part of the Contamination Indicator Decontamination Assurance System (CIDAS) program, managed by the Joint Program Executive Office for Chemical and Biological Defense (JPEO-CBD), Joint Project Manager for Protection (JPM P), CIDAS Product Manager. System abilities to minimize false-positive responses to POLs, coating/sealant technologies, exhaust fumes, cleaning compounds/disinfectants, field grime, etc. Systems that minimize degradation to military equipment, its electronic and optic components, hazards to both personnel and the environment, and not produce uncontrollable residual hazards during the decontamination process. Systems that do not degrade or affect the performance of individual protection equipment (IPE) to a level of unacceptable risk, or present any uncontrolled safety hazards to personnel in appropriate mission oriented protective posture (MOPP). Further details are available via Solicitation Number: PANAPG-16-P-0000-080334. The response deadline is July 28, 2016.